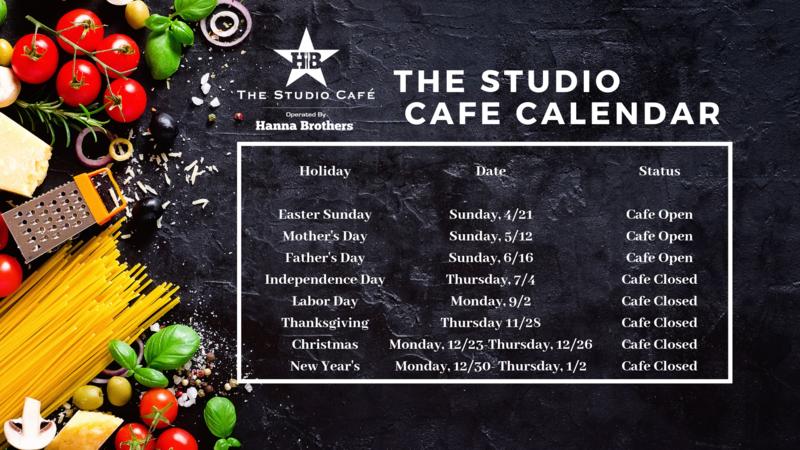 Plan your 2019 family outings with The Studio Cafe company calendar. We will be open on several important Sundays this year including Easter, Mother’s Day, and Father’s Day. We’d love to host you, your family, church outings, and other large groups at the Studio Cafe.